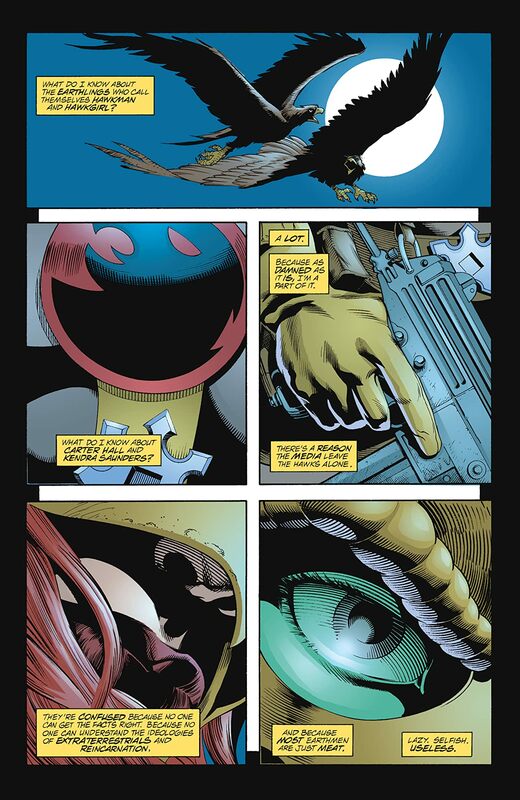 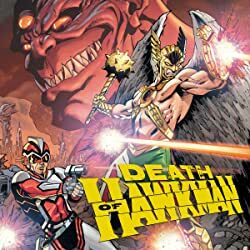 Geoff Johns’ reinvigorating run on Hawkman continues here, as Carter Hall faces the question of whether an ancient, immortal warrior truly has a place in the modern world. 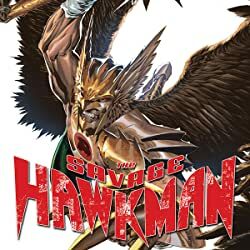 Hawkman’s only just begun building a new life in St. Roch through his cycle of reincarnation, but his tangled past won’t be left behind. 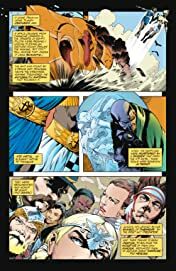 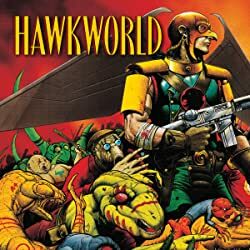 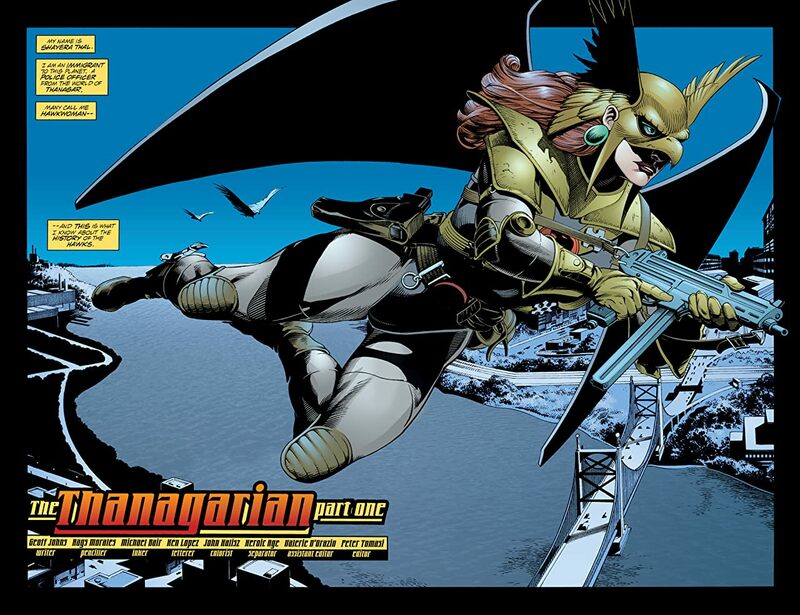 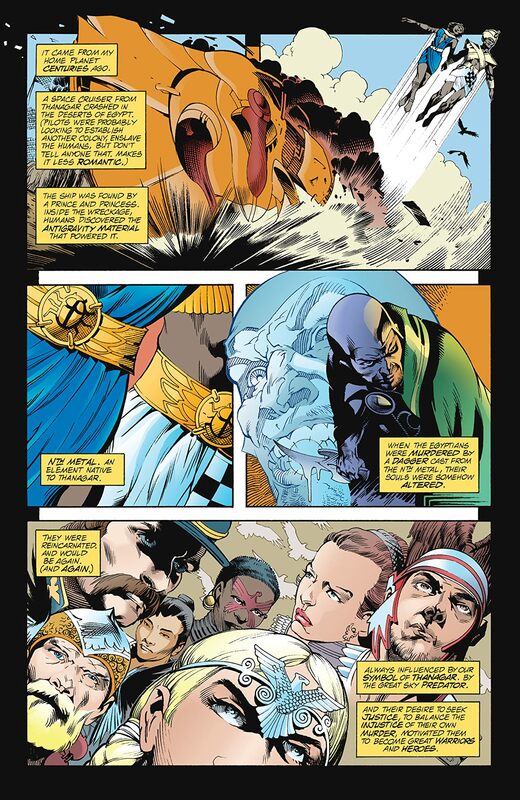 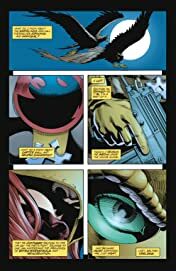 A high-flying confrontation with another Hawkman and Hawkwoman, a brutal attack from the Headhunter and a violent uprising in Kahndaq launched by Black Adam all intrude on Carter Hall’s peace. 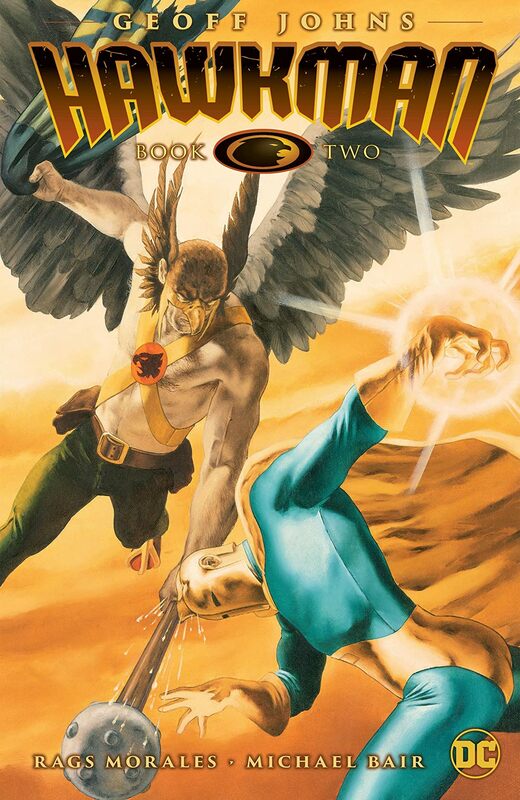 Even after taking command of the Justice Society of America and fighting alongside friends Hawkgirl and the Atom, can the winged warrior face such foes without losing the remnants of his humanity? Hawkman by Geoff Johns Book Two features stories by Geoff Johns (Justice League, Teen Titans) and art from celebrated talents Rags Morales (Action Comics, Hourman), Michael Bair (JSA, Identity Crisis), José Luis García-López (JLA: Classified, Batman Confidential) and others. 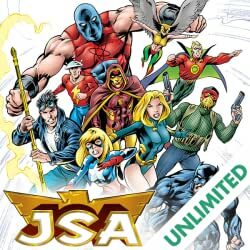 Collects Hawkman #15-25 and JSA #56-58.